RV Designer started in 1993, making custom drapes for RV windows. 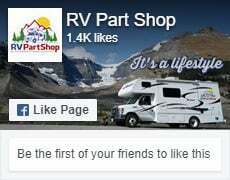 Since then they've learned to appreciate the RV Lifestyle and the RV community, and have worked hard to create products that make RVing easier. We're proud of what we do, and proud to be an old fashioned "customers first" kind of company, serving the community of motorhome and travel trailer enthusiasts. 45 mm Ball Bearing Slide 14"
45 mm Ball Bearing Slide 18"
45 mm Ball Bearing Slide 22"
45 mm Ball Bearing Slide 24"
45 mm Ball Bearning Slide 16"
46 mm Ball Bearing Slide 20"